Zynga, a video game development company, has been creating and providing popular games for social network and mobile platforms since its founding in July 2007. The company headquarters are stationed in San Francisco, California . 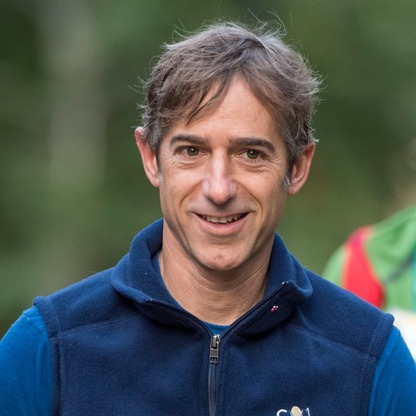 Co-founder Mark Pincus is the Chief Executive Officer and Chairman of the Board of Directors at the company . 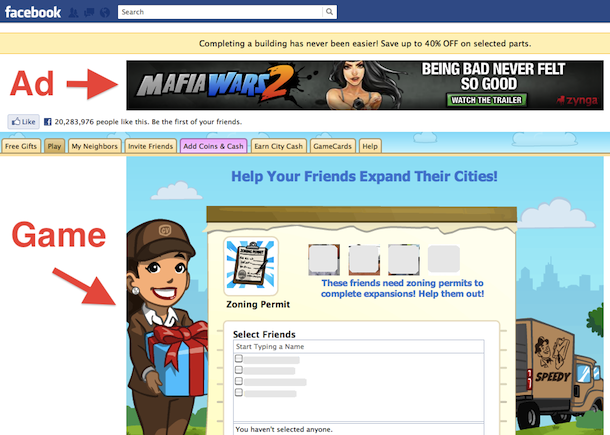 Zynga’s online social games can be accessed through Facebook and the Zynga game website. Two of the company’s most popular social games, FarmVille and FarmVille 2, have reached a total of more than 400 million users. Another, Zynga Poker, is played by more than 130 million people daily. Some of the social games are also available on mobile devices, while select games are exclusively offered as mobile applications. One well-known mobile-only video game is Draw Something! . The company’s games are “Freemium”, meaning users can install and play them for free but have the option to upgrade and excel higher through in-app purchases . With offices in locations around the world, such as India, Ireland and Canada, the company’s hope is to connect the world through its games . Zynga (ZNGA) began trading publicly on the NASDAQ Stock Exchange on December 16, 2011 . The company released its third quarterly financial report for 2015 on November 3, 2015. The company reported a revenue of $196 million, a 2% decrease from the 2015 second quarter. Its profit of $3 million was unexpected due to the $27 million loss during the second quarter in 2015 . The mobile game bookings made up 69% of the $176 million in total bookings, an increase from 66% in the second quarter and an overall 26% year-over-year growth from the third quarter 2014 results. Zynga’s three main mobile game franchises were the cause of this increase; these games include Words With Friends, Zynga Poker and Slots . The majority of these franchises are social casino games, showing progression in social casino revenue . As Zynga expands into the mobile game market, it competes with other top mobile game development companies, such as Electronic Arts . Two of Zynga’s social casino games, Wizard of Oz Slots and Hit It Rich! Slots, are ranked among the top 50 grossing mobile apps of 2015 . Zynga previously broke into the growing social casino game market as it has developed multiple popular social casino games throughout the years . In order to expand in the thriving market, Zynga acquired Rising Tide Games, a social-casino-game development company, in September 2015. With this acquisition deal of $22 million, a number of former Zynga executives will return to the company, as they originally left to start Rising Tide Games . According to the 2015 third quarterly earnings report, Zynga’s three casino games (Zynga Poker, Hit It Rich! Slots and Wizard of Oz Slots) altogether made up 45% of its online game revenue, encouraging the company to move forward with more social casino game development . After success with the previously-released Wizard of Oz Slots, themed after the 1939 film The Wizard of Oz, Zynga realized the powerful draw of user interest to games that correspond with certain films; usually fans of the film will be drawn to the game as well. The Wizard of Oz fans increased user traffic to Wizard of Oz Slots and the company saw an increase in downloads for the social casino app . In November 2015, Zynga launched the free-to-play Princess Bride Slots game, an addition to its Social Slots franchise. Like Wizard of Oz Slots and The Wizard of Oz film, this new release incorporates the characters, settings and plot lines of the film, The Princess Bride . The popularity of Zynga’s social games on Facebook is waning; due to complaints about the constant notifications that users receive from the games, such as FarmVille and Bubble Safari, Facebook has made policy changes in order to stop the bothersome notifications. As a result, user traffic to these online games has decreased, forcing Zynga to draw away from developing online games for the social network and push toward developing for the mobile game industry . The mobile game market is growing rapidly and has constantly increased from 2013 onward. For 2015, market sales are estimated to reach above $30 billion . Zynga’s mobile bookings make up a majority of its overall bookings, exhibiting the company’s potential in the mobile market. Though the launches of two mobile games, Dawn of Titans and CSR2, were scheduled for 2015, the company decided to delay the launches until 2016. These postponements are due to the company wanting to further develop the games and find ways to retain long-term players . Zynga faces stronger competition as it continues to launch games in the mobile market and is currently in the process of determining tactics to create original games and attract user interest. The release of more than six mobile games was set for 2015 but, with the two postponements, the number of mobile launches this year is a total of five . In order to increase overall profits and draw attention of sponsors, Zynga has introduced more in-app buying options and advertising tactics. In September 2015, the company incorporated an “Alliance vs. Alliance” group-based combat feature into its mobile game, Empires and Allies, in order to drive users toward in-app buying . In October 2015, Zynga began creating and selling brand-sponsored levels in its game franchises with the introduction of SponsoredPLAY. The advertisements appear as incorporations to game levels that users can play, charging the sponsoring brand every time a level is played. Users are rewarded within the game when they play these sponsored levels. The game-level advertisements themselves are created by Zynga’s advertising agency, Studio E. Among the first brands to use Zynga’s SponsoredPLAY were Clorox and Naked Juice . SponsoredPLAY was deemed a success as Zynga’s share price increased following the introduction of the advertising product . Results show the company’s use of this interactive gaming tactic increase the average time users spend on a given advertisement, around 15 to 25 seconds, compared to the average time they would spend looking at a static advertisement . With the company growing and transitioning to developing games in booming markets, it is clear that Zynga will continue to focus on creating products for the social casino and mobile game industries specifically. The company hopes to have growth in its mobile bookings with the upcoming 2016 launches of Dawn of Titans and CSR2, games that will be first released to mobile devices . Since the SponsoredPLAY campaigns are time-efficient and nearly effortless for the brand involved, Zynga will benefit by working with more advertisers because it will help with game subsidization . Connecting the World Through Games. Zynga. Retrieved November 25, 2015. Leadership. Zynga. Retrieved November 25, 2015. Our Games. Zynga. Retrieved November 25, 2015. F., Alan. May 22, 2012. Zynga’s top mobile executive talks games, freemium model, OMGPOP purchase and more. PhoneArena.com. Retrieved November 30, 2015. Career Listings. Zynga. Retrieved November 25, 2015. Mangalindan, JP. December 16, 2011. Today in Tech: Zynga goes public. Fortune. Retrieved November 29, 2015. Lynley, Matthew. November 3, 2015. 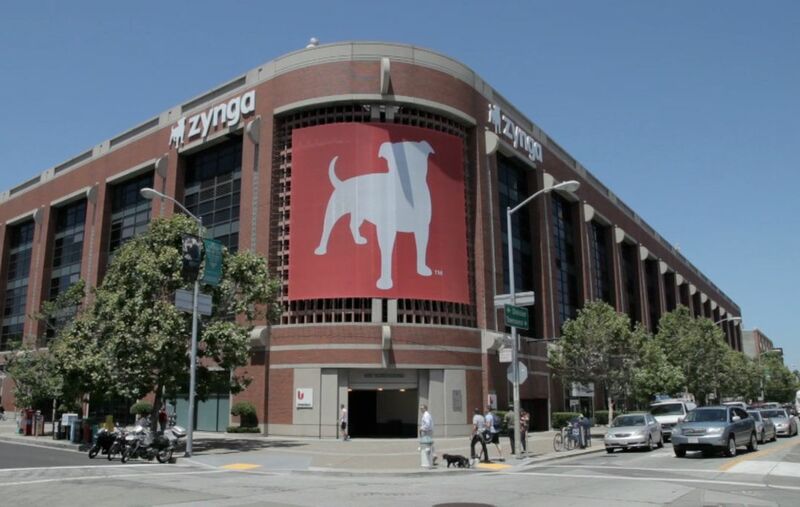 Zynga Beats Expectations on Earnings, Posts A $3M Profit. TechCrunch. Retrieved November 28, 2015. Zynga Announces Third Quarter 2015 Financial Results. Zynga. Retrieved November 24, 2015. November 8, 2015. Zynga: Pulse Getting Weaker. Seeking Alpha. Retrieved November 29, 2015. Zynga, Inc. Competitors. Yahoo! Finance. Retrieved December 1, 2015. Top Grossing Android Apps. Google Play. Retrieved December 1, 2015. Top Charts. AppShopper. Retrieved December 1, 2015. Jain, Aman. September 15, 2015. Zynga Buys Rising Tide Games. ValueWalk. Retrieved November 25, 2015. Takahashi, Dean. September 14, 2015. Zynga buys Rising Tide startup, bringing back one of its former casino game execs. VentureBeat. Retrieved November 28, 2015. November 13, 2015. Zynga: More Slots. Seeking Alpha. Retrieved November 24, 2015. November 19, 2015. Zynga achieves the “inconceivable” with Princess Bride Slots launch. GamingIntelligence. Retrieved November 30, 2015. November 19, 2015. As You Wish! Zynga Launches Princess Bride Slots Worldwide. CNN Money. Retrieved November 28, 2015. Gambone, Greg. September 24, 2015. Can Anything Save Zynga Stock From Its Deathbed? (ZNGA). InvestorPlace. Retrieved November 27, 2015. 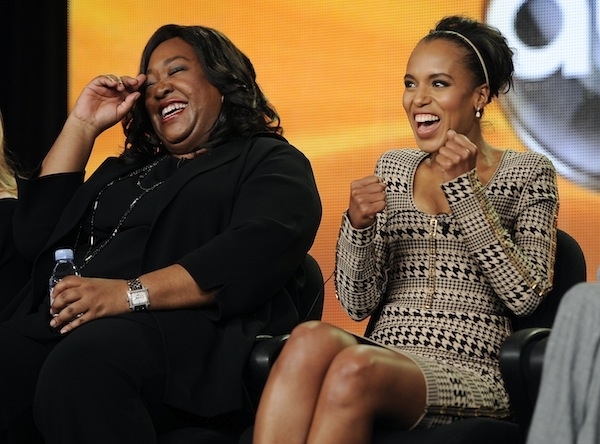 Keating, Lauren. September 3, 2015. Gaming On-The-Go. Tech Times. Retrieved December 1, 2015. November 3, 2015. 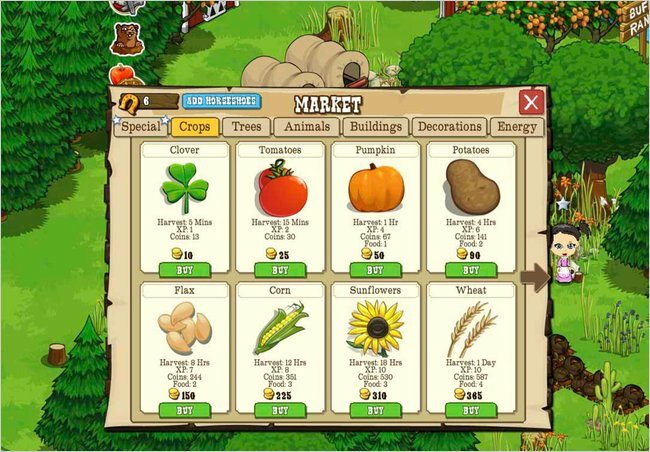 “Farmville” creator Zynga delays game launches, CFO steps down. Reuters. Retrieved December 1, 2015. Leftovich, Devon. September 24, 2015. Zynga, Inc. Capitalizing Empire & Allies Sales with CommScope Holding Company, Inc. Knowles Corporation. StreetWise Report. Retrieved November 29, 2015. Peterson, Tim. October 8, 2015. 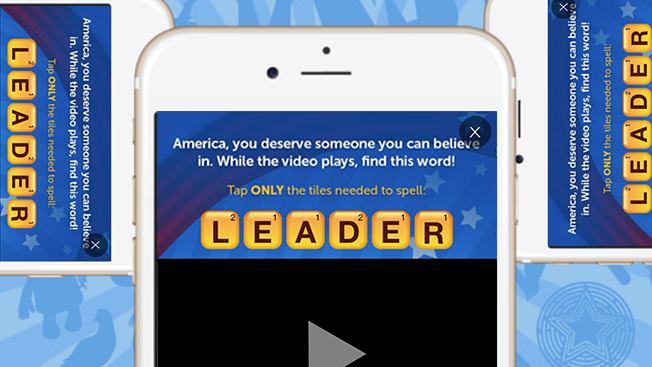 Zynga Starts Selling Sponsored Levels Created by In-House Agency. AdvertisingAge. Retrieved November 19, 2015. Leftovich, Devon. October 12, 2015. Gaming Stocks Grabbing New Market: Zynga, Inc., Electronic Arts Inc., Activision Blizzard, Inc.. StreetWise Report. Retrieved December 1, 2015. October 12, 2015. Zynga launches SponsoredPLAY advertising solution. GamingIntelligence. Retrieved November 20, 2015. Zynga Logo. Dakota Financial News. Retrieved December 1, 2015. Mark Pincus. Forbes. Retrieved December 1, 2015. Logopedia – Farmville. Wikia. Retrieved November 30, 2015. Taylor, Colleen. December 16, 2011. Zynga’s road ahead: 4 things to watch for, post-IPO. Gigaom Research. Retrieved December 1, 2015. September 14, 2015. Zynga Rides the Social Casino Wave and Acquires Rising Tide Games. Zynga Blog. Retrieved December 1, 2015. ZyngaNetwork. Princess Bride Slots Trailer – Las Vegas Casino – Free Slot Machine Games – Best, Spin & Win. YouTube. Retrieved November 29, 2015. ZyngaNetwork. Dawn of Titans – Announce Trailer. YouTube. Retrieved November 29, 2015. January 2, 2015. Empires and Allies is a Turn-based, Strategy Combat game made by Zynga, and is Free-To-Play on Facebook. Giant Bomb. Retrieved December 2, 2015.